Looking for the best dog flea shampoos for your pup in 2019? To see your dog with annoying fleas is the worst. 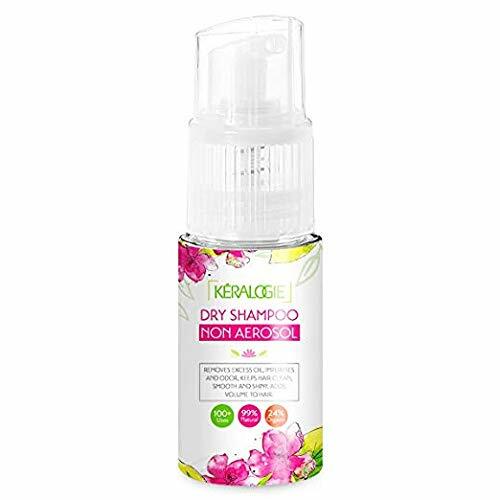 It is unbearable to feel so hopeless after trying one product after another that promises relief but doesn’t deliver results. And when we see them itching, scratching, and biting, we feel like doggie parent failures. Are you ready to get into this guide? What is dog flea shampoo and is it effective? How do you use dog flea shampoo? What should you look for when buying dog flea shampoo? Short on time? Check out below our top flea shampoo for dogs of 2018. Continue reading if you want to learn more! Do we really need a special flea shampoo? Other than not wanting bugs on your dog, is there any harm in a couple of fleas hitch-hiking around on Spot? According to the Common Animal Parasite Council (CAPC), fleas can harbor bacteria and parasites, like tapeworms, that can be transferred to your dog and humans. Ever heard of the Plague? Yup, we can blame fleas for that, too. People who have hairy legs can also suffer from flea bites, itching, and dermatitis if there is an infestation in your home. Dog flea shampoo is a medicated shampoo used during your pup’s regular baths to help get rid of fleas. It’s one of the first products people reach for when they see a little speck scurrying along their dog’s belly and hiding in their fur. 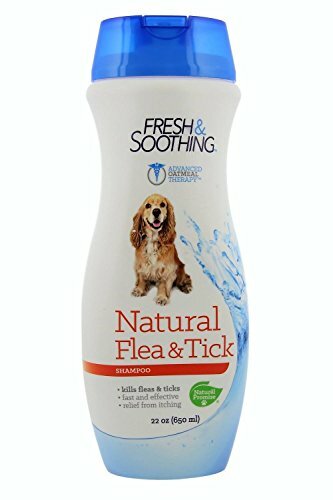 Flea shampoo is effective in killing most of the fleas on your dog. One of the telltale signs of success is how many of the dead buggers float in the bath after your dog’s spa treatment ends. But flea shampoo is just one factor in your overall flea control game plan. It doesn’t do much good to clear your dog of fleas only to have them jump back on from the carpet or yard in a week or two. Read More: What do fleas look like up close? You might think “Hey, it’s not rocket science. Lather, rinse, repeat,” right? But dog flea shampoos have very specific instructions depending on the formulations. A lot of shampoos have serious pesticides﻿ ﻿﻿and powerful chemicals so, using too much, leaving the foam on too long, or not rinsing thoroughly can have real health implications for your pet. Read all the instructions and counter indications to make sure the shampoo will not harm your pet. Typically, the groomer needs to wear gloves for protection as well. Don’t set your dog in a tub of water first thing as you don’t want the fleas heading for high ground in Fido’s ears. Instead, use a shower spray or several pitchers to pour the water over your dog. Start with the shampoo at your dog’s head, being careful to keep the suds out of his eyes. The hope here is that any fleas on the head will move down towards the body where you can see them better. Leave the suds on for 5-10 minutes, per the shampoo’s directions. After you have washed your dog and removed the fleas, you can fill up the bath for a thorough rinse. We recommend first using a product like Capstar to knockdown all fleas on your dog and then apply a shampoo to ensure all the dead fleas and remaining eggs are properly remove. When bathed, thoroughly clean the infested areas of your home and monitor to see the results. Some things to consider when you buy a flea shampoo are how efficient it is, what the reviews say, and the price. If you know your dog has fleas, you will want a shampoo that will not only kill adult fleas but also the eggs. If you only want to repel fleas, find a repellent which typically has fewer chemicals. In other words, save the strong stuff for when you really need it. When reading reviews, know that most people don’t understand the limitations of flea shampoo. They think it’s a “one and done” process, but shampoos really only work for a few days. That’s why it takes a multi-pronged approach for effective flea control. While a good flea bath is a solid start in getting rid of a flea infestation, there are other tools you should use as well. A flea comb has teeth fine enough to remove small eggs and debris that shampoo may miss. A flea and tick spray repellent could be an option for spritzing your dog before they head outside. Any serious home or yard infestation may require sprays or bombs for full eradication. If you catch a problem early enough, a bath with one of the following flea shampoos is hopefully all you need. 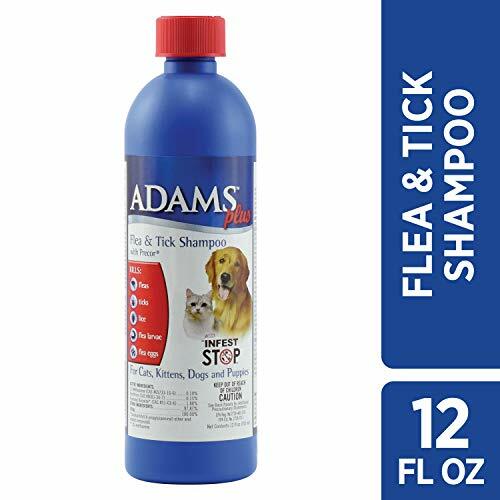 I recommend the Adams Flea shampoo with Precor first. 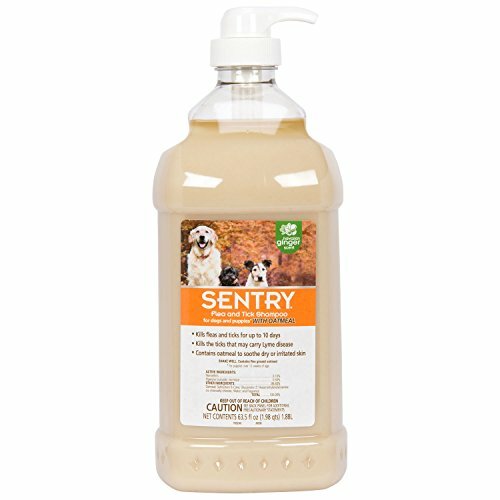 This shampoo ranks number one for dogs who have active fleas because it kills fleas in all stages of their life cycle. Adams is a favorite of groomers because the blue shampoo has a minty, fresh scent that lingers for about a week. The aloe, lanolin, coconut extract, and oatmeal make the coat soft and silky. 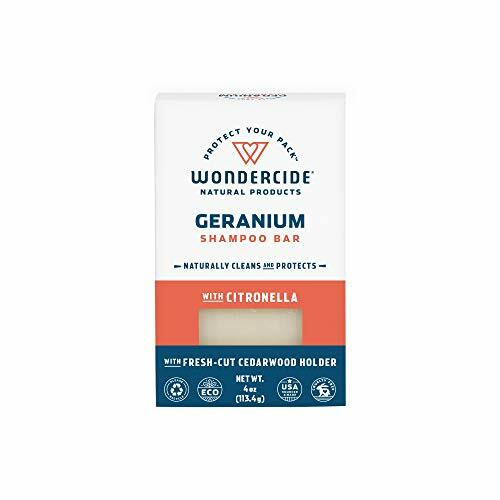 The Wondercide brand is the best choice when you don’t want to use harsh chemicals. This company first appeared on Shark Tank in March of 2016. Their orders increased 2000% in that month! People responded to their all-natural approach, but Wondercide had the data to show their methods really worked. Comes in a bar form which is easy to apply and lather. No more spilled bottles and no plastic waste. Gentle enough to use multiple times per week without worry of harming your dog, or the planet! Mycodex is easy to suggest because it is considered an oldie but a goodie. It has been around for over 20 years and continues to be recommended by many veterinarians. With a quick 3-5 minute lather, you will start to see dead fleas floating in the water. Some breeders swear by Mycodex and have been using it for years. This permethrin-based product is one of the top flea shampoos available. Permethrins are synthetic insecticides formulated to mimic the natural compounds of the chrysanthemum flower. Permethrin causes paralysis and death in fleas because it’s toxic and they can’t metabolize it quickly enough. It is still toxic for humans and animals, but we can break it down faster so we don’t feel the effects. The all-natural combination of clove oil, lemongrass oil, cedarwood oil, and cinnamon oil is a powerful combo for primarily repelling fleas and killing small infestations on your dog. Lemongrass is a natural insecticide used in homemade and commercial formulations. However, many animals have been harmed and have died from improper dosage of essential oils on their skin. The lemongrass plant can be toxic for dogs so you need to use a trusted formulation. The best way to avoid a flea problem is to be proactive in preventing them in the first place. Our top choice for that is Wondercide as you can repel fleas without the danger of harming your pet with chemicals. But once you have an issue, it needs to be all hands on deck. Flea shampoo is the fastest way to offer relief to your pooch. While your dog may hate baths, he will love you afterwards for not having to scratch and nip at fleas. This is the best time for a T-R-E-A-T (in case he or she is listening)!